But the Special 301 Report fails to tell the whole story about copyright across the modern online world. It doesn’t talk about the damage that restrictive copyright can do to artists and researchers in the digital era. It ignores how innovators have benefited from a more balanced enforcement system and generous exceptions—most famously in the United States itself. On the Web, the error code 404 shows browsers that something is missing. EFF believes that in the Internet era, the Special 301 Report is missing real stories from the countries that the Special 301 condemns. Our intention for this report is to show what’s missing from Special 301 and give some balance to the USTR’s biased review of global intellectual property laws by highlighting the arguments for balanced copyright, patent, and trademark law worldwide. 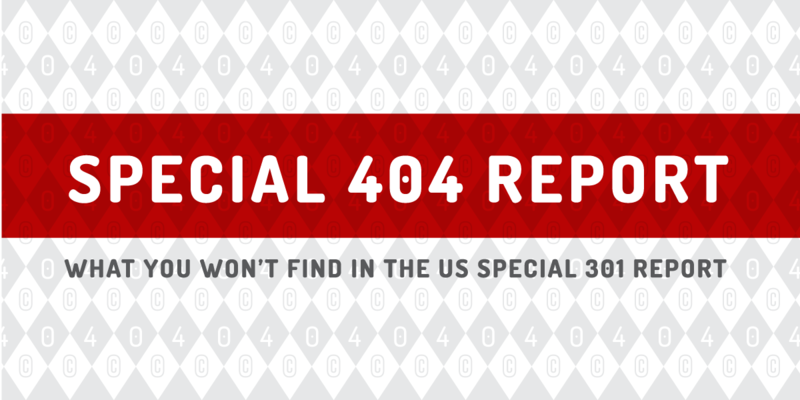 Read EFF's Special 404 Report.